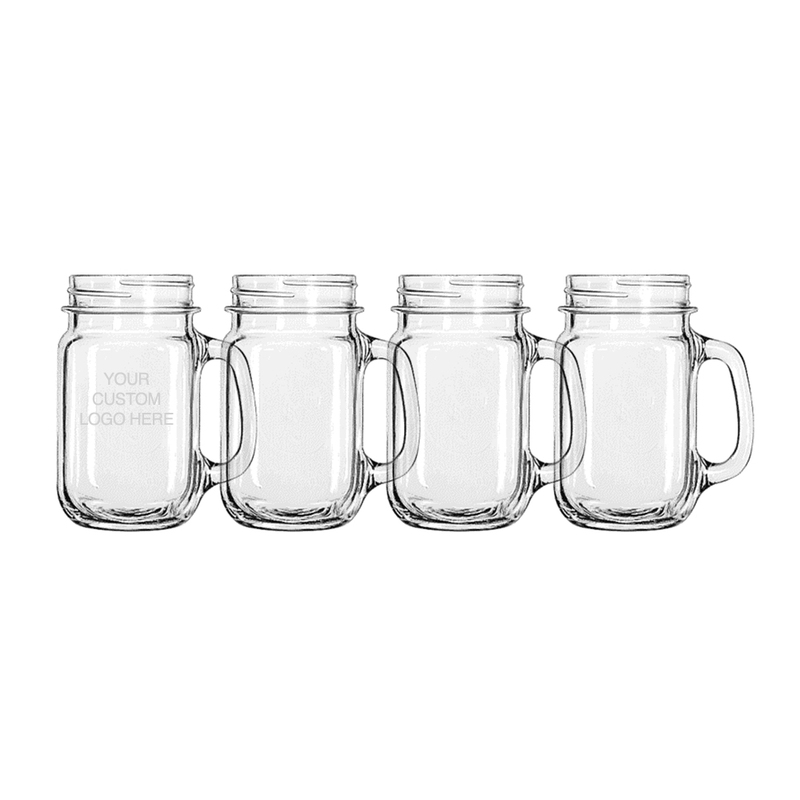 This whimsical mason jar holds 16 oz of your favorite drink and has a new take on the traditional mason shape, complete with a handle for easy grip! Each jar is custom etched with your logo. 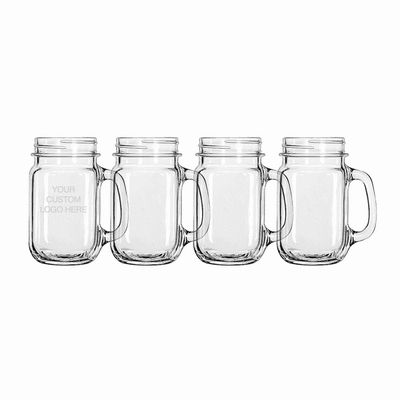 Ordering one below is a set of four etched jars.